Please click on a staff member's name in order to send them an email. Since 2011 Carol Lichtenwalter has served as the Executive Director of Pegasus Farm. She brings with her over thirty years of experience working with people who have special needs and their families. Prior to joining Pegasus Farm, Carol worked for twenty years as the Director of the Stark County Family Council where she and her staff managed a comprehensive, countywide wrap-around program for children with complex needs as well as a home visiting program for families who have children birth to three years of age known as Help Me Grow. In addition, Carol supported the Council's collaborative, cross-system efforts to implement strategies and services that promote school/community partnership, family advocacy and support, and the prevention of child abuse and neglect. Prior to that, Carol worked with The Arc of Stark County, a non-profit organization that provides support for people with developmental disabilities and their families. She has also worked as a parent coordinator for the Family Information Network, a program funded by the Ohio Department of Health to work with families who receive early intervention services in a nine county region. Because of her experiences raising a child with special needs, Carol has a strong commitment to supporting families and promoting community-based opportunities for individuals who have developmental delay. 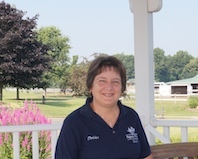 Debbie Weber has served as Office Manager at Pegasus Farm since 1997. 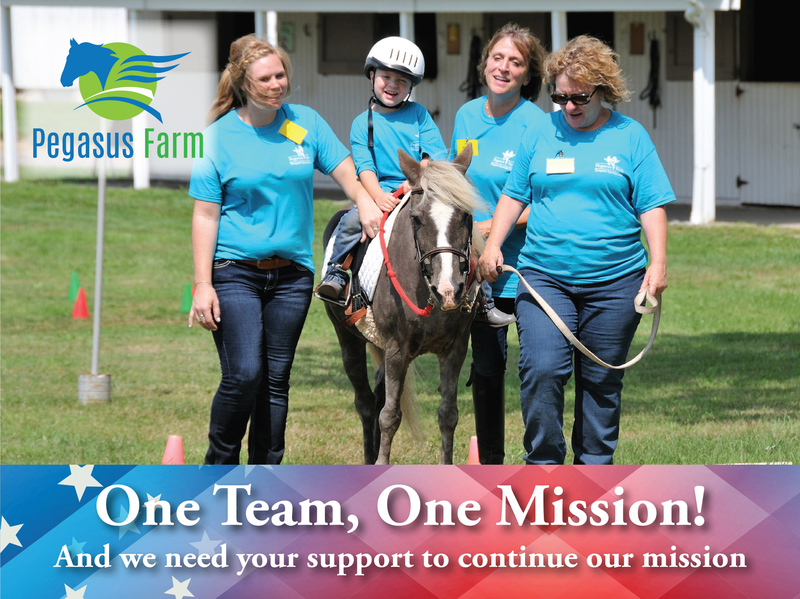 She came to know about Pegasus Farm when she and her daughter started volunteering in 1996. Pegasus has played a very special role in her family's life, and they enjoyed watching their sponsored horse, Tuffy, bring joy to many participants over the years. Debbie enjoys playing the piano, singing in a 16-member a capella group called Aletheia, golfing, and vacationing at the ocean. Having grown up around horses, Tammi Gainer began her professional equine career in 1989 as a trail guide at a large ranch camp where she was first exposed to the world of equestrian vaulting and attended her first CHA (Certified Horsemanship Association) Standard Instructor Certification Clinic. 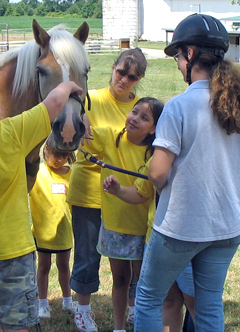 In the spring of 1995, Tammi joined the instructor staff at Pegasus Farm. 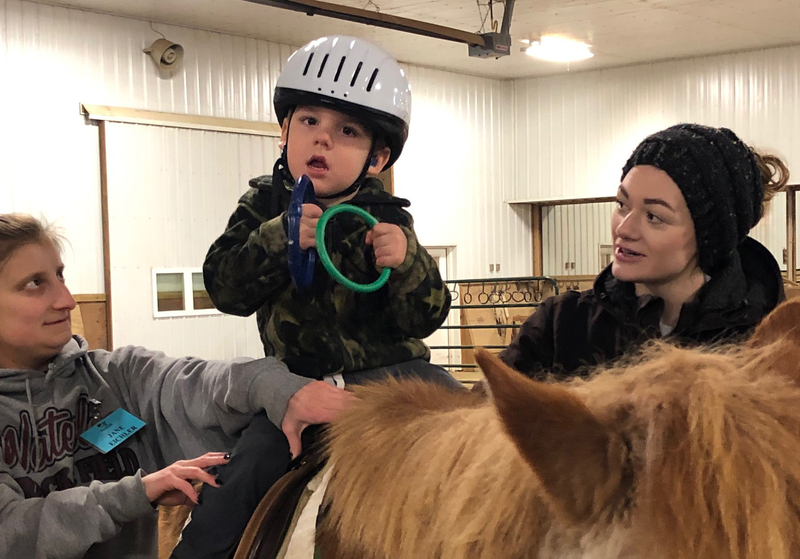 While working at the Farm part-time and home schooling her three children, Tammi also spent much time working under several trainers in both reining and dressage and achieved PATH Interational instructor certification. In 2000, she achieved CHA Master Level Instructor/clinic staff status and has since earned Clinic Instructor status in the Instructors of Riders with Disabilities (IRD) and Vaulting Coach programs as well. 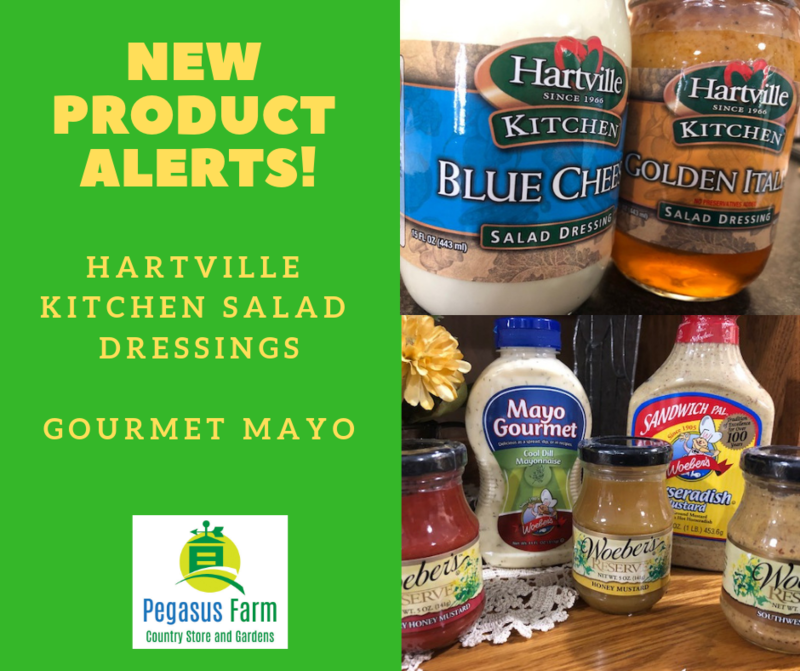 In 2005, Tammi was promoted to Equestrian Director at Pegasus Farm and has since achieved Equine Specialist in Mental Health & Learning certification through PATH International and AQHA (American Quarter Horse Association) Professional Horseman. Pegasus Farm is blessed to have on staff such an accomplished, experienced person with a heart for the very special work we do! Jose Gonzalez joined the Pegasus team in winter of 2002. When joining Pegasus, he was newly married to his wife Kelley and their first child was on the way. He is now greatly blessed with eight children. Jose brought to Pegasus a wide variety of experience in the areas of farming, construction and property management. His duties at Pegasus include all areas of property management as well as facilities & property project management. He is assisted in his duties by his dedicated staff, Chuck Allen, Val Hoffman and Dakota Hoffman. Karen Layton has been the Program Director and an Instructor at Pegasus since April of 1999. She first came to Pegasus in 1994 when her youngest daughter began riding in the program. She immediately began volunteering and was soon joined by her daughters. Pegasus has been an important part in the lives of her entire family. Karen is certified with both PATH Intl. and CHA and also manages the Wings Adult Day Services Program. On her off hours Karen enjoys riding horses and gardening. Missy Howard says she's blessed to be our Volunteer Coordinator, working with over 130 dedicated volunteers here at the Farm. She has brought her many years of experience working with thoroughbred racehorses at Claiborne Farm and the Thoroughbred Retirement Foundation in Lexington, KY. These jobs tied in her love of horses and working with people very nicely to her duties here at Pegasus. 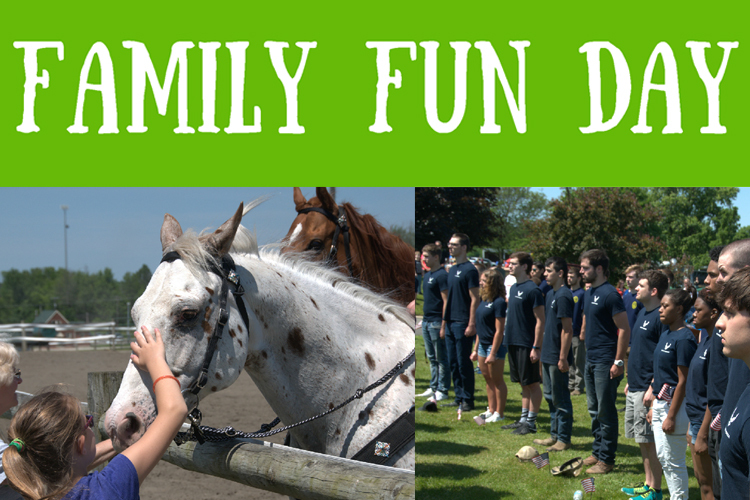 Missy first started working full time at the Farm in 2006 serving as the Volunteer & Special Event Coordinator. She then left the Farm for a couple years when she had her two children. Pegasus Farm, however, was near and dear to her heart and she returned as the Volunteer Coordinator on a part-time basis in 2012. 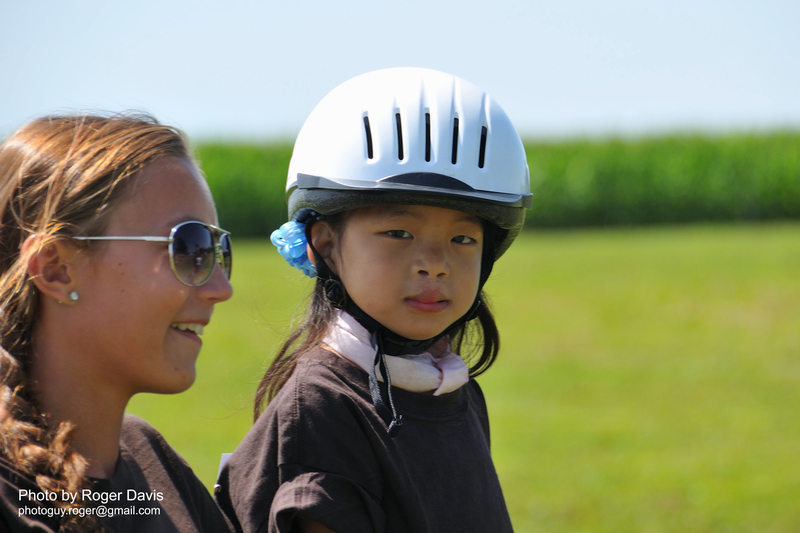 In April of 2013, she become a CHA certified riding instructor and is also now teaching the Veterans Salute riders. Every day Missy is amazed by the devotion and willingness of the volunteers here at the Farm, giving of their time and talents. It seems that THANK YOU is never enough!